This year, instead of donning a typical red/green/sparkly dress why not go for a simple LBD and let your makeup do all the talking? This is probably the easiest look to do with a few simple products but it really packs a punch. 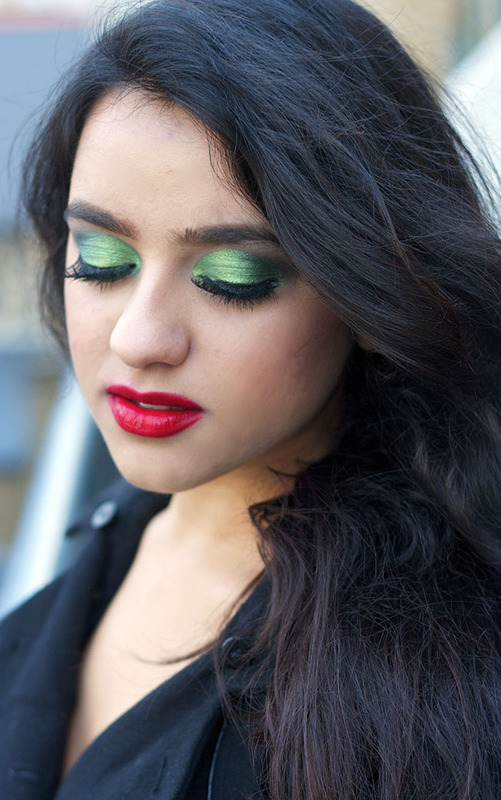 5) To complete the look I added lashings of my favorite red lipstick to really contrast against the green and make the whole look pop! this green is so popping! Love the look . You look so pretty. I love the green it is so striking!